Need simple, elegant, yet incredibly cost effective grandstand seating for that extra special event? We Can Help. Because our grandstands are portable they can be set up in less than an hour and removed just as quickly. Whatever the event, a portable grandstand creates a focal point for seating your members, sponsors or guests in comfort and protected from the weather. Need simple, elegant, yet incredibly cost effective grandstand seating for that extra special event? 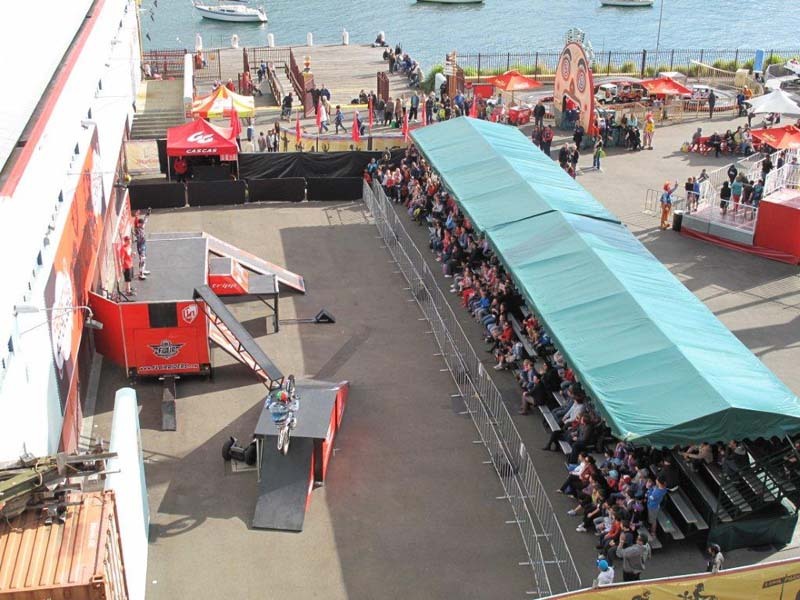 AAA Portable Grandstand Hire provide a unique solution with our "drive in - drive out" grandstands. 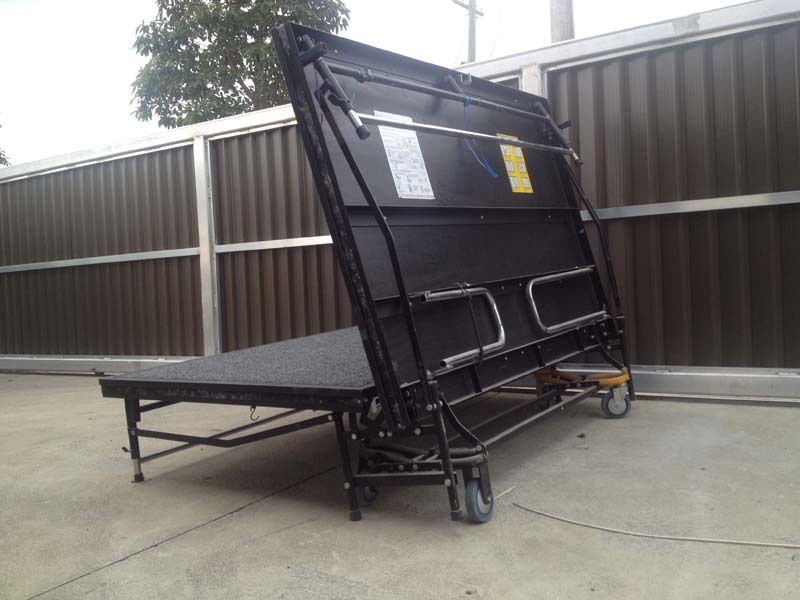 Portable carpet covered stages each measuring 2.45m x 1.85m. They can come alone or can be clipped together. They are on wheels/stabilising legs. Their top height is 600mms from the ground and it rests at 400mms off the ground. An incredibly versatile product useful for all sorts of occasions & settings. Erected in 60 minutes, seats up to 250 people per grandstand unit. One person can set up or take down a unit in minutes. AAA Portable Grandstands can be towed with a conventional vehicle from one event to another, saving you time, labour and money. 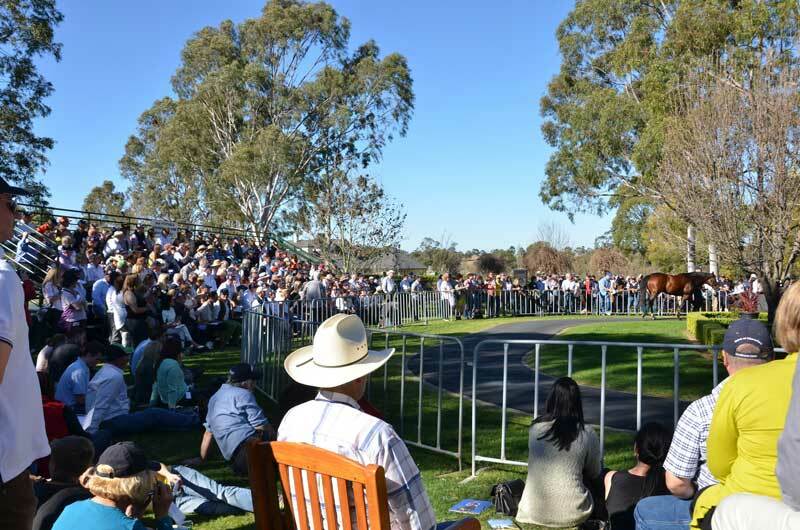 Marquees allow ample space to sit on the Stands and view proceedings from a shaded sheltered position. 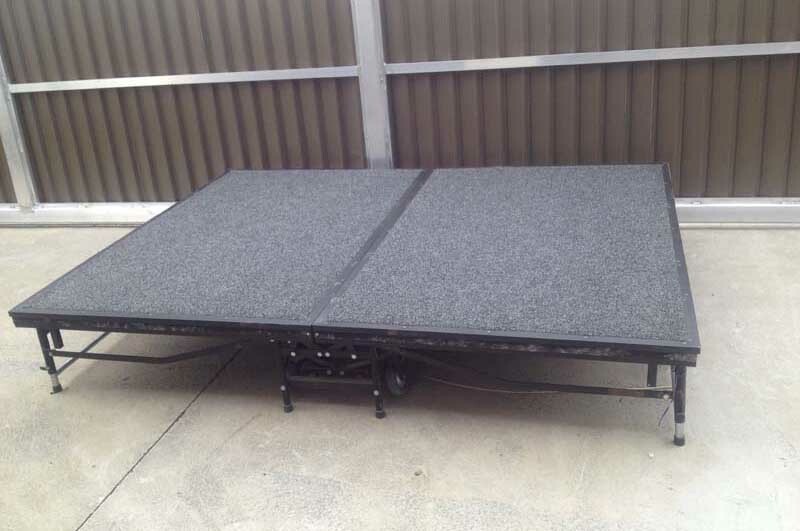 Portable carpet covered stages each measuring 2.45m x 1.85m. They can come alone or can be clipped together. Look no further ...AAA Portable Grandstand Hire provide a unique solution with our "drive in - drive out" grandstands. Seating up to 250 event-goers, all protected from the elements providing under cover comfort. 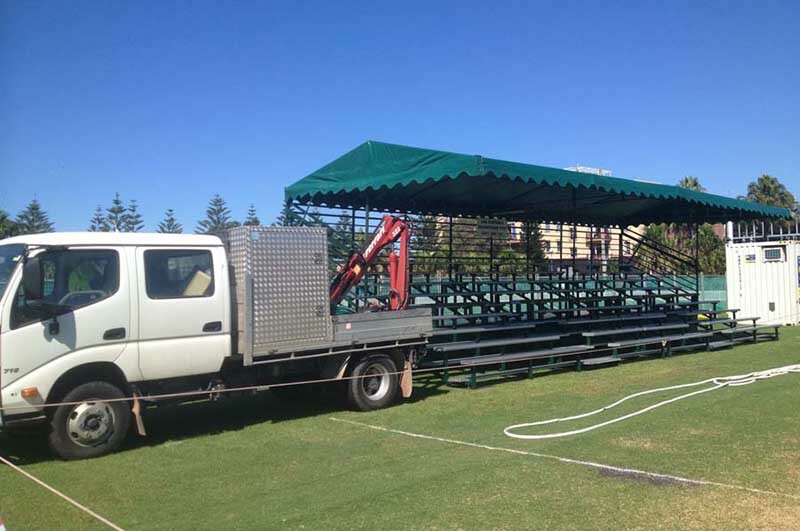 Our friendly and efficient staff have a wealth of experience in installing and removing AAA Portable Grandstands from the most difficult of sites, both indoors and outdoors settings.